So as a quick background on me, I have been working high-end kitchen appliance brands Sub-Zero and Wolf for well over 5 years now. Besides creating all of our marketing material, I also like to think outside the box by trying new things. 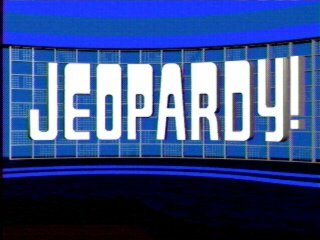 In an attempt to make our sales reps’ jobs easier and more fun, I programmed a recreation of America’s best game show, Jeopardy. This game was created solely using Quark 9 and its new interactive features. I have been using Quark for many years with page layouts but I was really looking for an excuse to play around with the new interactive features – so what better way then by making a game. I was actually quite impressed after I figured out the learning curve of the Interactive Pallet. If you play around with my game, you probably will not have any clue in regards to the questions and answers as this was created as a way to train our dealers so they can become more educated on our product. But the point is, I created this game from scratch (no templates) and with no training – I figured out everything on my own. Our sales reps loved this training tool and our customers had a blast using it. They welcomed this new style of training. Right Click and Save Target As to save this SWF file. Then simply just drag and drop it into your supported web browser and click away. There is a built-in HELP option if you want to learn more. This game can easily be modified for your business so please contact me if you are interested. Thanks you for checking this out.